Shrimp salad is a popular protein go-to and healthy meat alternative. While some claim the high cholesterol is not so healthy, scientists at the Rockefeller University showed that shrimp added to a low fat diet not only kept a healthy balance of HDL (healthy fat) to LDL ("bad" fat), but the HDL actually increased. When choosing shrimp, opt for fresh water as opposed to farm raised. The bright, pink color means the shrimp is full of astaxanthin and omega-3's both potent antioxidants that keep hair strong and healthy and skin youthful. 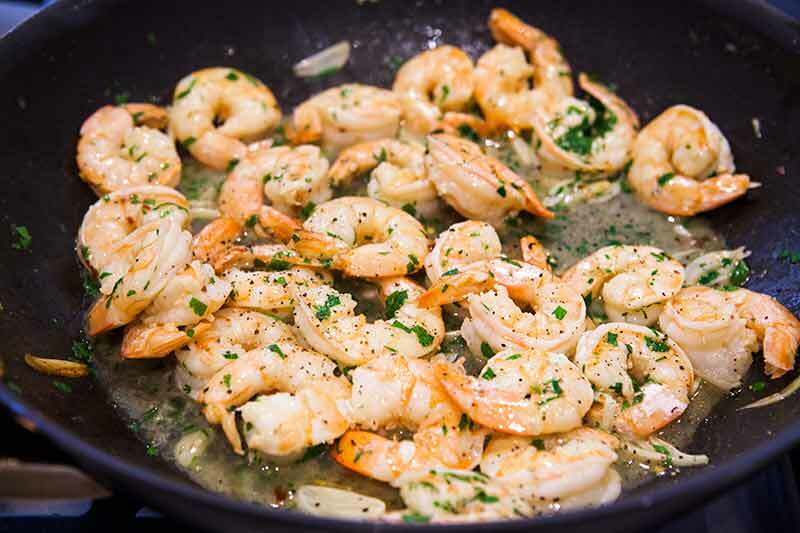 Shrimp can be sauteed in coconut oil, grapeseed oil or even water to keep the lipids down. Adding sea salt, pepper and fresh herbs such as chives or garlic can enhance the flavor while giving a boost in the "health benefits" department. Check out this delicious and unique recipe, perfect for lunch or a meal for a warm night. In a blender or food processor, mix the peeled cucumber, dates, avocado and a splash of lemon juice. Pour over your salad as a dressing.